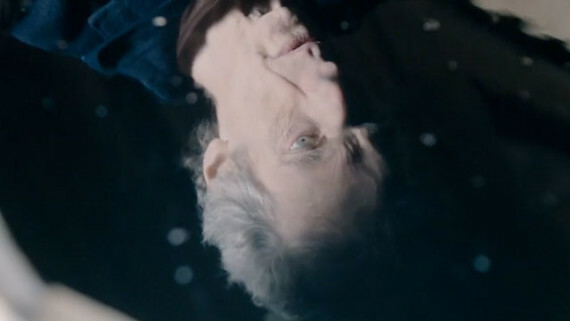 Doctor Who: The Moffat Scripts – THE GIRL WHO DIED | Warped Factor - Words in the Key of Geek. 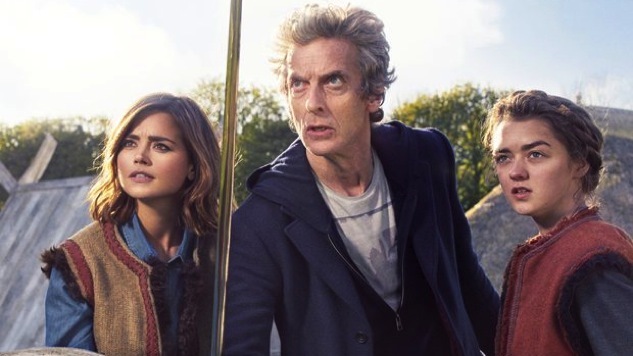 Lighthearted Doctor Who stories are annoying boxticking exercises that every season seems to believe we need to have. Just once I’d like a year that didn’t go for an all-out comedy storyline! Since the triumphant return in 2005 there has been at least one in every season and some worked better than others. Naturally series nine needed one as well. Enter stage right The Girl Who Died. This story exists only with one purpose in mind and that is to introduce Ashildr. Everything else is just there to fill the 45 minute runtime. It’s just extended filler. And nothing says filler more than the Villains Of The Week: Odin and the Mire. 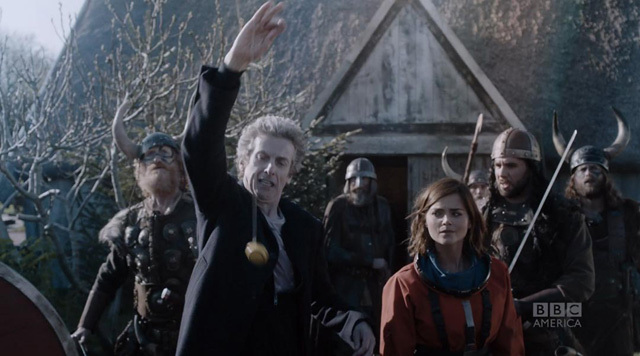 It’s around the point that the Doctor tries to escape being held captive by Viking warriors by pretending to be their god Odin. When he is upstaged by a floating head in the sky claiming to be Odin you realise what you’re about to see maybe won’t be the next Genesis of the Daleks. Frankly the floating head sets the tone for what’s to follow as a camp, trying-too-hard-to-be-funny story that is literally nothing but filler until the last five minutes. We learn that “Odin” is an alien warrior of the Mire race who has come to Earth to claim testosterone from the Vikings by killing them. Then the Viking girl Ashildr accidentally challenges the Mire to battle, for some reason. We’re told that the Mire are the mightiest warriors in the universe but there’s no explanation or proof, we just have to accept it. Lazy writing there from the joint efforts of Jamie Matheison and Steven Moffat, we should expect better. These are the writers behind the Boneless and the Weeping Angels for goodness sake! 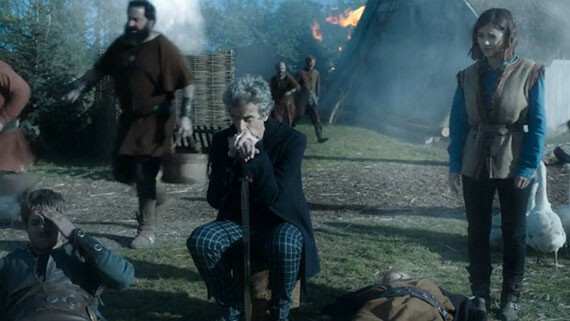 The Doctor is forced to train the surviving villagers – none of whom are warriors – so that they can take on the Mire. It’s just a bit of a non-starter excuse for a plot. It’s dull. At one point we’re told that something exciting happened. We don’t get to actually see it though. Lazy lazy writing again. The rule is “show don’t tell” but Moffat and Matheison opt here for “tell don’t show” and both should know better than that. Yet despite all of that, this story is fun to watch. The comedy is forced but thanks to the wonderful Peter Capaldi it works. His comic timing is impeccable, his delivery is perfect, the mannerisms he gives to the Twelfth Doctor are judged just right to carry the comedic elements of the story, and as such this episode is a showcase for his comedic talents. Even the Doctor’s ability to translate the crying baby doesn’t feel cringeworthy or forced. Capaldi is the sole reason why. One reason why The Girl Who Died works is literally in the title. This story isn’t about Odin and the Mire, it isn’t about the Doctor training up warriors, it’s all about one girl named Ashildr. Maisie Williams is cast in the part because of stuntcasting because she’s famous from Game of Thrones but while her performance here is good it’s nothing special and not deserving of the months of hype that her involvement got. In fact, her guest appearance in series nine got more hype than the existence of series nine as a whole. There’s something very wrong about that but that’s a whole other discussion in and of itself so I’ll leave it. “Doctor: I know where I got this face, and I know what it’s for. Clara: OK, what’s it for? BUT did it need explaining? It’s unnecessary. 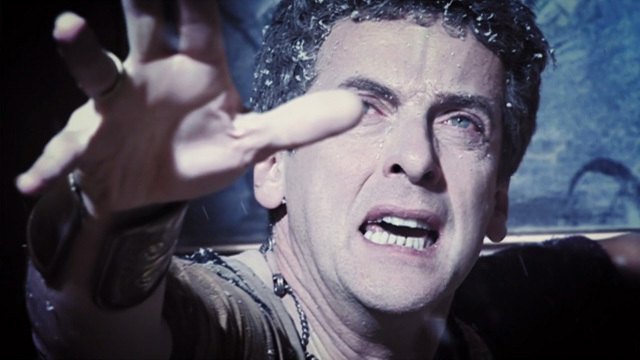 The Twelfth Doctor looks like Caecillius because the same actor, Peter Capaldi, plays them both. I don’t recall anyone bothering to explain why the Sixth Doctor looks like Maxil, why the Second Doctor looks like Salamander or why the First Doctor looks like an evil French abbot. For that matter, why does the Twelfth Doctor also resemble a politician from Torchwood? 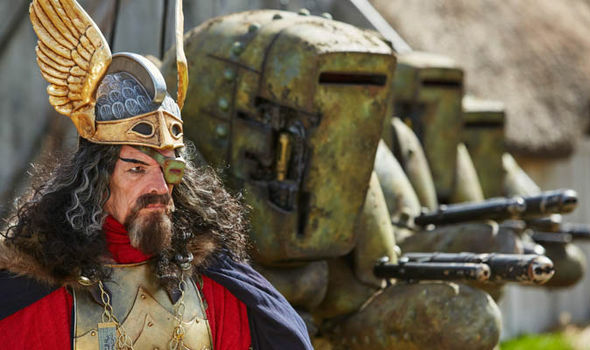 It serves very little purpose and exists only to propel us to an ending when the Doctor saves Ashildr and makes her an immortal Viking/Mire Hybrid. Token reference to The Ark In Space? Check! I’ve said a lot of negative things about The Girl Who Died so far in this retrospective but I have to end on a positive note. Because though there are flaws and many many problems this story is still loads of fun to watch. Benny Hill music, fake Odin in the sky, the spider mines… none of them should work. But they do. The Girl Who Died is top quality entertainment and its open ending leaves you wanting more. What follows was the sequel The Woman Who Lived, NOT PART TWO BUT A DIFFERENT STORY and it was a bit rubbish, but that’s beside the point. This story should not work and should be rubbish. On paper the different elements of it are awful. Yet it works. And if you watch it again with an open mind then I’m sure you will agree.